Here are 100 family tree quotes that will make you think and also make you laugh as well about this favorite past time. Genealogy Quotes To Make You Laugh! 4. Where there’s a will there’s a genealogist. 5. Genealogy is not fatal but it is a grave disease. 6. Eventually all genealogists come to their census. 7. Genealogist: We do precision guess work based on unreliable data provided by those of questionable knowledge. 8. Only a genealogist thinks that a step backwards is progress. 9. Genealogify: To skillfully and imperceptibly turn a conversation to the topic of genealogy. 10. 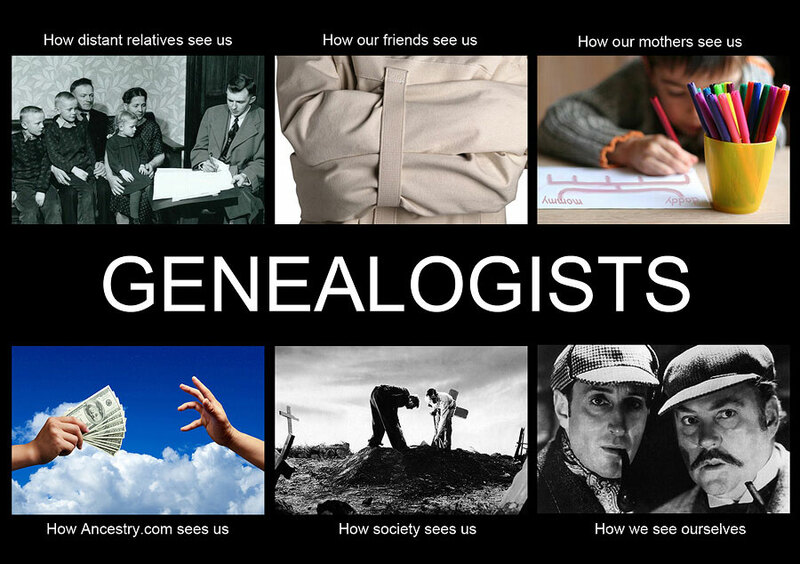 Genealogist: Because freakin miracle worker is not an official job title. 11. I’m a genealogist: I run around in circles and chase my own tale. 12. Genealogy: It’s all about the roots. 13. Genealogy: Chasing your own tale. 14. So many ancestors, so little time. 15. Genealogy is my therapy. 17. 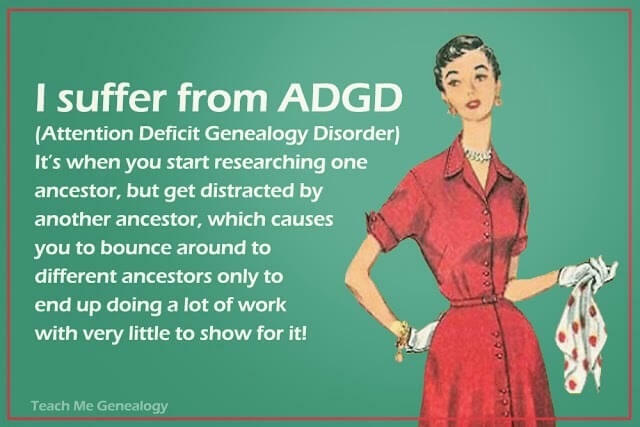 Genealogists are relatively obsessed. 18. Genealogy: Proving once and for all, that insanity is hereditary. 19. Extreme Genealogy :Leave no stone unturned unless it’s a tombstone. 20. Some Grandmas knit, real grandmas do genealogy. 21. Friends come and go, but relatives tend to accumulate. 22. Genealogy: Where you confuse the dead and irritate the living. 23. I come from a long line of dead people. Family History Quotes To Make You Think! 24. Anybody can make history, only a great man can write it. 25. I am bound to them, though I cannot look into their eyes or hear their voices. I honor their history. I cherish their lives. I will tell their story. I will remember them. 26. We are who we are because they were who they were. 27. Every time an old person dies it is as if a library burns down. 28. Your ancestors count on you to remember them. 29. Respect your ancestors for you are the result of a thousand loves. 30. Who will tell your story when you’re gone? 31. Knowing family history expands perspective. 32. There is a fine line between a packrat and a serious family historian. 33. Genealogists do not gather facts but breathe life into all who have gone before. 34. Facts get recorded. Stories get remembered. 35. Genealogy is like a magic mirror. Look into it, and pretty soon, interesting faces appear. 36. My ancestors are always with me. So I am never alone. 37. Remember that when a family member passes away, they take a library of memories with them. 38. The roots of a family tree begin with the love of two hearts. 39. Family. A link to the past and a bridge to our future. 40. Our family. Like branches on a tree we all grown in different directions, yet our roots remain as one. 41. Remember and honor family who have come and gone before you. Because they had a hand in shaping who you are. 42. Divine genealogy is not limited to royal or priestly families, but is extended to all who would come unto Christ. 43. Not only do we honor our ancestors but we live honorably because we are somebody’s future ancestors. 44. We are the chosen. In each family, there is one who seems called to find the ancestors. To put flesh on their bones and make them alive again, to tell the family story and feel that somehow they know and approve. Doing genealogy is not a cold gathering of facts, but instead, breathing life into all who have gone before. We are the storytellers of the tribe. More Genealogy Quotes To Make You Laugh! 45. You know you are addicted to genealogy when … you are more interested in what happened in 1813 than in 2013. 46. What was that one thing that always interferes with my genealogy obsession? Oh yeah … life! 47. When I dies I give my friends to change my Facebook status to “Is visiting with ancestors”! 48. It’s just a matter of time before they add “syndrome” after the word Genealogy. 49. Whoever said “seek and ye shall find” was not a genealogist. 50. Some family trees have beautiful leaves, and some have just a bunch of nuts. Remember, it is the nuts that make the tree worth shaking. 51. Genealogy: It’s not the size of the tree that matters. It’s the quality of the nuts you find on there. 52. I collect dead relatives and sometimes a live cousin. 53. My ancestors must be in a witness protection program. 54. I shook my family tree and a bunch of nuts fell out. 55. There are no limits to what you can accomplish in your genealogy research when you are supposed to be doing something else.